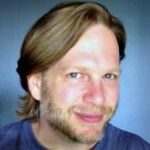 Social Media for Executives – Interview with Chris Brogan originally published on Tech Page One. With 27% of total U.S. internet time spent on social networking sites (Experian) and 55% of marketers spending more marketing budget on social media in 2013 (eMarketer), the momentum of the social web has clearly gained mass appeal. Yet many executives I’ve talked to feel as if they are watching from afar versus playing in the game. Social participation, let alone integration, with current marketing and sales activities is unfamiliar and uncomfortable. How can business executives gain confidence in deciding on the right social channels, platforms and tools? How can social technologies support and advance current marketing, communications and business goals? As the first in a series of “Social Media Spotlight” interviews to answer those questions and many more, I reached out to a friend whom I have been learning from for several years. Few voices carry as much weight in the social media world as Chris Brogan, best selling author of multiple books on the topic and subject of numerous conversations amongst the hundreds of thousands of social contacts he’s made. Chris is also the CEO of Human Business Works and took some time to answer a few questions about where and how social media can fit. We also discussed tools, platforms and closing the mental gap between social participation and commerce. A recent study by Weber Shandwick cites numerous benefits for C-Suite executives getting more involved with social networking. For business owners and executives that are hesitant about their own social media involvement, what advice can you share on deciding if social web participation makes sense and where to start? The digital channel is a place where communication is the core ingredient. People like me advocate content creation and marketing with content, but ultimately, without a commitment to engagement and communication, the channel doesn’t produce the best possible results. A senior executive or business owner needs an analogy to see this better. If you ran a restaurant and I came in to eat, how would I feel if no one greeted me? How would I feel if I was never seated? How will you even get my money? As the executive, your role is the table visiting chef. “How did you like your meal? What can we do better?” Have you ever had that treatment yourself? You immediately want to have another experience like it. It’s the best of all worlds when you feel that level of care and attention. Where does one start? Start where you feel most capable and confident of connecting. Don’t worry if you can’t answer every question and comment that floods in. Just dip in the waters. If you mean which platform specifically, I prefer Twitter, but some would use Facebook. LinkedIn might work, but you’ll likely talk to fewer end customers. In your recent post on shifting social media usage to fabric mode, you give really useful advice on do’s and don’ts. Can you share some of those here? I simply tell professionals that you have to get over thinking about social media as either shiny or foreign to other parts of the business. It’s part of the business. If you’ve not implemented it, you’re now about 5 years behind the curve. Would you allow yourself to get five years behind in any other aspect of your business? Don’t chase the various social platforms that come and go. If a place has traction, consider putting together an outpost there. But more importantly, go somewhere that lets you tell your story your way. For instance, if you’ve got a very visual product, use YouTube more. If you’ve got something very photogenic, consider Pinterest. It’s your call. What are some of your favorite tools for social content curation, creation, publishing and measurement? I am very bullish on audio podcasts. People are looking for better entertainment options for their commutes and it’s a great opportunity to deliver content in a very intimate way. Email marketing done personably and with a lot of focus on relationship-building has changed my own business magically. My email marketing list is 10x smaller than my social media presence, and yet it performs 10x more sales conversions, meaning that I get 100x more success from my email marketing list than any other effort. I publish a blog using the WordPress platform and that’s critical to my success because it brings people in via Google search terms, who might not normally find me. They interact with my content in some way, and if I’m lucky, they take the next step (which in my business, is getting onto my email list). So many companies go to extremes with social messaging, from being “too salesy” to enforcing rules about never, ever including an “ask” of any kind. How can companies find the happy medium and confidence that creating value first brings the rewards we’re all after? Use the magazine model. It’s so easy. Buy any commercial magazine of value and relative success and look through the pages. Count up how many features versus ads, how many tidbits versus asks, and see what you find. It’s usually a blend somewhere around 60/40 or 65/35 content to ads. Consumer markets don’t mind ads. They mind too many ads. And of course they love ad-free, but unless you are just providing the social channel as some kind of philanthropic effort with no value or return intended, that’s not useful to you. My personal experience has been that I can advertise as much as I’d like provided that I’m very clear and crisp in declaring what’s an ad and what’s useful content, and provided that both ads and content are relevant to the community I serve. Vine – Misunderstood the way twitter was for years. I think it’s brilliant. LinkedIn – Suffers from too many people using it poorly. Twitter – A bit harder to sift great information these days, but still a personal Bloomberg for your pursuits. Snapchat – Too soon to tell, but the kids sure like it. Instagram – I love this more than Facebook. A bit harder to make the business case, but personally, I love it. Pinterest – Huge potential here, especially if selling to women is important. MySpace – Will fall back under the waves, never to be heard from. Turned into “their space” to hock musicians’ materials. Blech. One thing you can count on with Chris is practical, tell it like it is advice. You can connect with Chris on Twitter and his blog. The bottom line with business and social media is that it will continue to grow as an essential part of doing business. Executives that are uncomfortable with making social media commitments with their companies need to see the inevitability of how people connecting through technology will help the company provide better service and better products. Brand and individual social media participation is becoming as normal and comfortable as using the telephone or email. There may be more moving parts and changes, but the end result is communications between people. Be sure to follow the “Spotlight on Social” series of interviews over at Tech Page One. Next up? The always awesome Mari Smith. I like this post.You have done a great job by sharing this post with us.